The theology espoused by most Christians includes the possibility of a murderer being forgiven of this grievous sin and gaining entry into heaven. The same theology generally assumes that once a person has died, the judgement of their souls takes place without additional adjustments. This means that a person who has been murdered is immediately out of options and must face the music without any chance for further reflection. This brings us to the murderer/victim paradox. 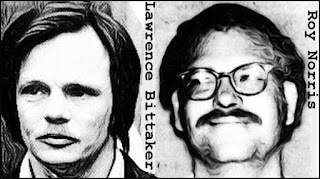 For example, in the tool box serial murder case in California in 1979, where two men (Lawrence Bittaker and Roy Norris raped) tortured and killed 5 teenage girls, both defendants, although given a capital punishment sentence, were still in prison almost 40 years later. They had time to reflect on their deeds, get involved with prison ministries, and confess their sins, and accept Jesus as their savior. On the other hand, the murdered girls did not have this opportunity. If they had not yet accepted Jesus, it was too bad for them- game over, and it’s off to hell. So, the paradox is simply this- within the confines of conventional Christian doctrine, there must be many cases where a murderer eventually gains entry to heaven, while the person he has murdered is sent to hell. How can this form of cosmic justice possibly be fair? Why does the murderer get a second chance, but the victim does not? This commonly leads to an apologetic defense that involves a special exemption allowing the victim to accept Jesus posthumously- very nice, but this leads to a big bag of worms. If a murder victim has a post-death chance to accept Jesus, then this same accommodation must also be available to anyone who dies suddenly, such as in a car crash, or from a heart attack. Anyone who dies in this manner and is offered an easy-to-see opportunity to accept Jesus would enjoy a tremendous advantage over everyone else who must otherwise accept Christianity on faith. This would seem to mean that dying quickly is far more favorable than suffering a long, slow death. Considering we are talking about an eternity of bliss versus an eternity of lament and possibly torture, the manner in which you die should not be a determining factor, and, therefore, this apologetic line of defense can be dismissed. 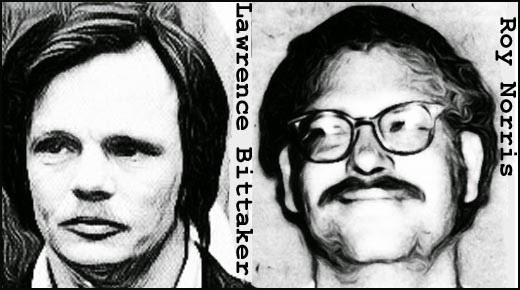 So if EITHER Lawrence Bittaker or Roy Norris is going to heaven while ANY of their 5 raped and tortured victims is in hell, then Christian justice is an unmitigated sham. This absurdity can only result from a theology created by the minds of men, not that of an infinitely intelligent being.